Following recent articles on the world’s abandoned cities and on urban exploration, some readers have requested additional resources related to exploring abandoned structures and buildings. With that in mind, here are some great urbex photo collections and other links related to building infiltration and draining. For an updated stream of urbex images, it is well worth checking out Flickr’s Urban Abandonments photo group. The group is currently 90 members strong with almost 1,000 images. 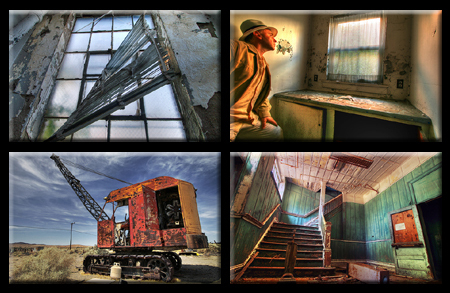 Some are professional, some less so, but it represents a good spectrum of urbex pictures. Of course, not all of this is legal – so be careful and aware. While there are a few too many ads on the site itself, the Urban Exploration Webring is a great way to start exploring urbex websites. A simple click on the recognizable webring toolbar’s ‘random’ button will bring you to another random interesting site in the webring. This is usually found in the center of a member site (top or bottom). There are also some excellent urban exploration forums, where people discuss urbex locations and post relevant images and stories. 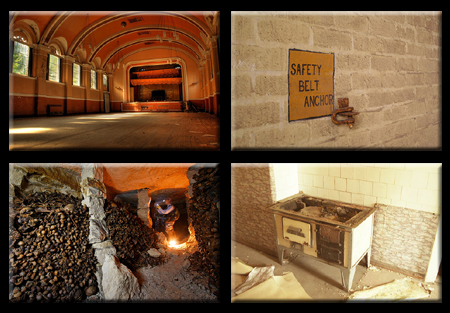 Urban exploration, building exploration and draining mean different things to different people. It is also worth checking out the Wikipedia article on urban exploration for further clarification.